The tradition of housing the Crown Jewels in the Tower of London probably dates from the reign of Henry III (1216–1272). 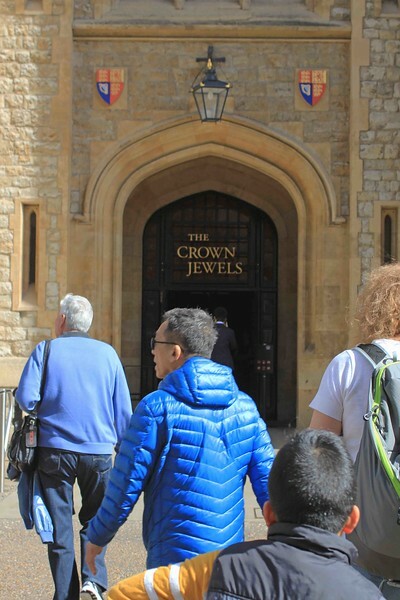 The Jewel House was built specifically to house the royal regalia, including jewels, plate, and symbols of royalty such as the crown, sceptre, and sword. When money needed to be raised, the treasure could be pawned by the monarch. The treasure allowed the monarch independence from the aristocracy, and consequently was closely guarded. A new position for "keeper of the jewels, armouries and other things" was created, which was well rewarded; in the reign of Edward III (1312–1377) the holder was paid 12d a day. The position grew to include other duties including purchasing royal jewels, gold, and silver, and appointing royal goldsmiths and jewelers. In 1649, during the English Civil War, the contents of the Jewel House were disposed of along with other royal properties. Metal items were sent to the Mint to be melted down and re-used, and the crowns were "totallie broken and defaced". When the monarchy was restored in 1660, the only surviving items of the coronation regalia were a 12th-century spoon and three ceremonial swords. The rest of the Crown Jewels had to be recreated. In 1669, the Jewel House was demolished and the Crown Jewels moved into Martin Tower where they could be viewed by the paying public. This was exploited two years later when Colonel Thomas Blood attempted to steal them. Blood and his accomplices bound and gagged the Jewel House keeper. Although they laid their hands on the Imperial State Crown, Sceptre and Orb, they were foiled when the keeper's son turned up unexpectedly and raised the alarm. The Crown Jewels are on display in the Jewel House in the Waterloo Block.